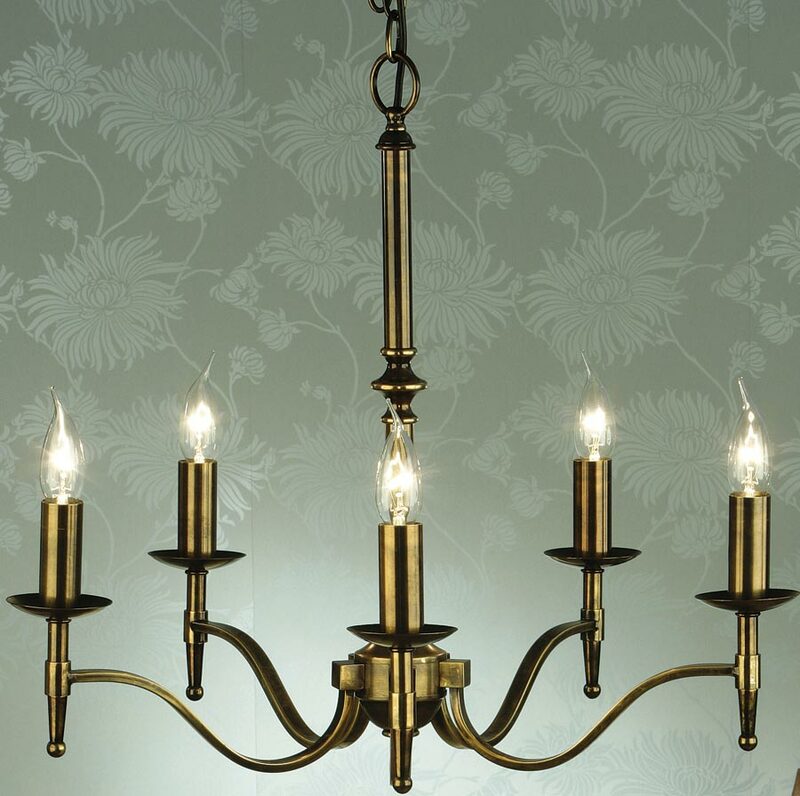 The Stanford traditional 5 light chandelier in antique brass, with beautifully curved arms and simple clean detailing. 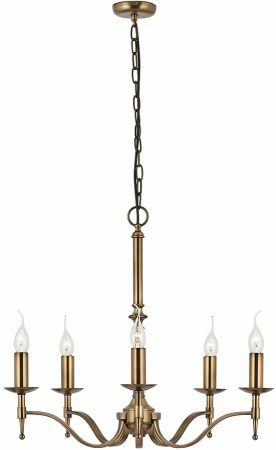 A wonderful antique brass finish 5 light chandelier, with a central baluster drop rod housing a circular gallery. 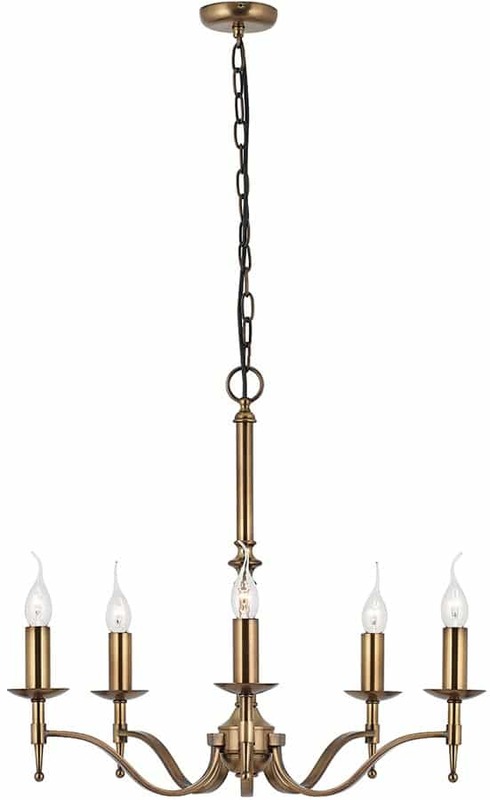 Five antique brass flat section curved arms radiate from the gallery, featuring candle drips, candle tubes and lower drop finial. 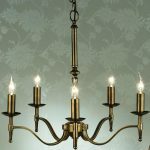 This is a medium sized chandelier suitable for small to medium sized rooms. The perfect addition to a traditional or contemporary living or dining room.